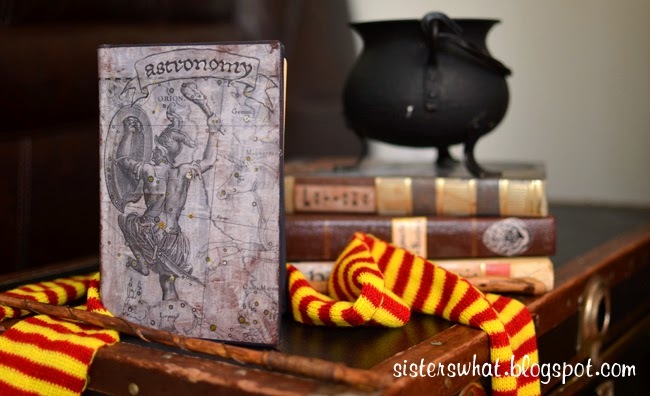 ' Harry Potter Astronomy Textbook with printable - Sisters, What! It's already the end of October and you probably thought Harry Potter wasn't going to make an appearance. Well, I couldn't let that happen now could I? I'm back again with yet another Harry Potter textbook decoration. As I was unpacking, I came across another free book and I decided that an astronomy book was needed to our collection. //1// Acquire a oldish hard cover book that you don't care about. I actually have never heard of A Good Woman, but I might just read it to see if it's any good. 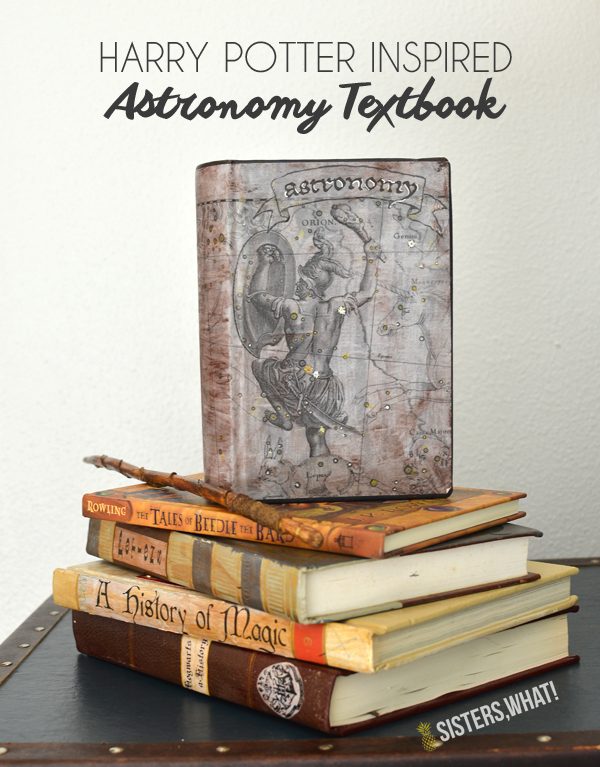 *my book is 5x7, if your book is bigger than the astronomy image will just fit differently on your book. 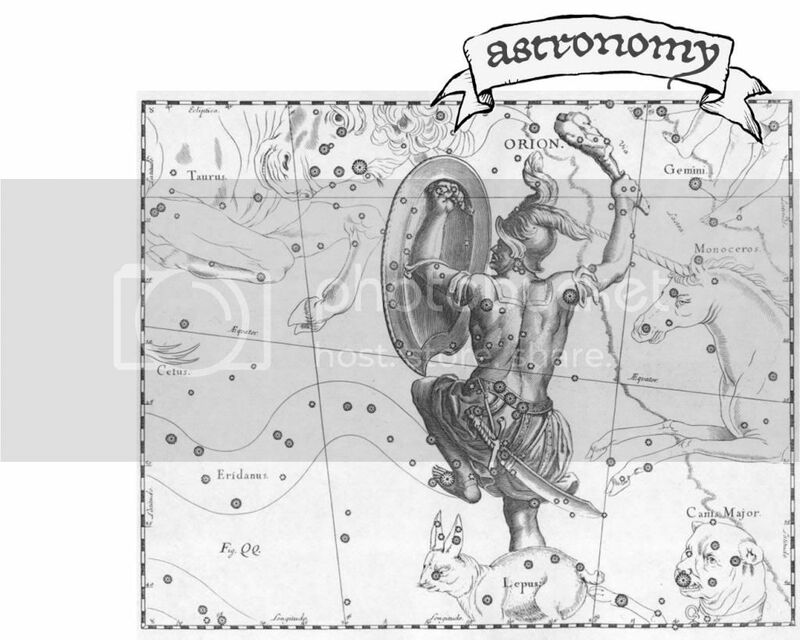 //2// Download astronomy printable HERE or go HERE to check out any other ones. 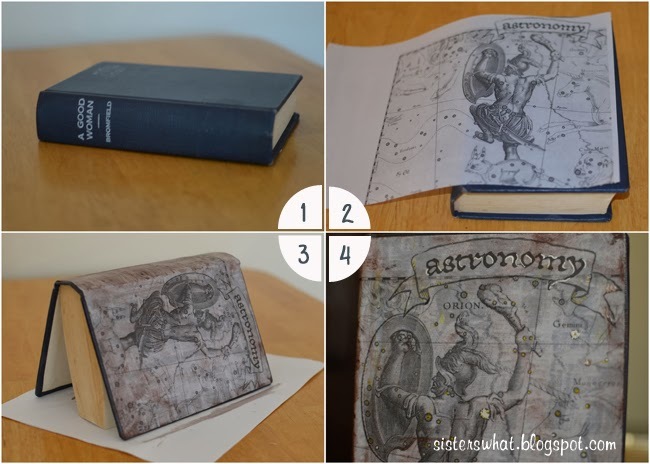 After you print off the astronomy image, crop it to fit your book. After it fits, use modge podge to adhere it to the book. Put modge podge on the book then on top of the image to seal it. //3// Now we're going to antique the book. Get some brownish paint and really water it down. Then lightly paint over back and front cover. Make the paint thicker around the corners and the edges. //4/// you can be done or you can get a metallic pen or marker and draw dots where the stars are to add some glimmer. And now your done. Isn't it a beauty. 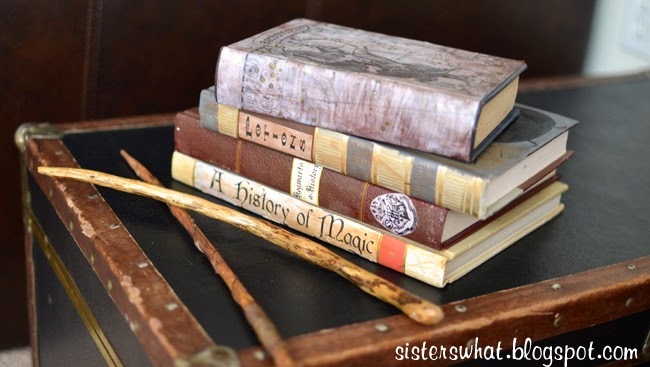 It's not copied from the original movie, but I figured it looked a little Harry Potterish? 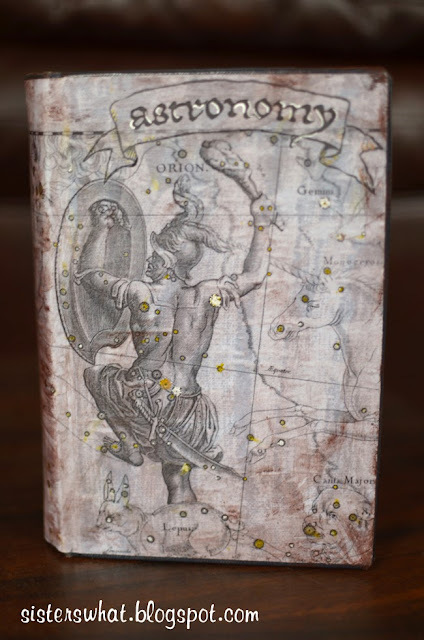 Also wouldn't it be fun to fill all the pages with real constellation drawings and stories? 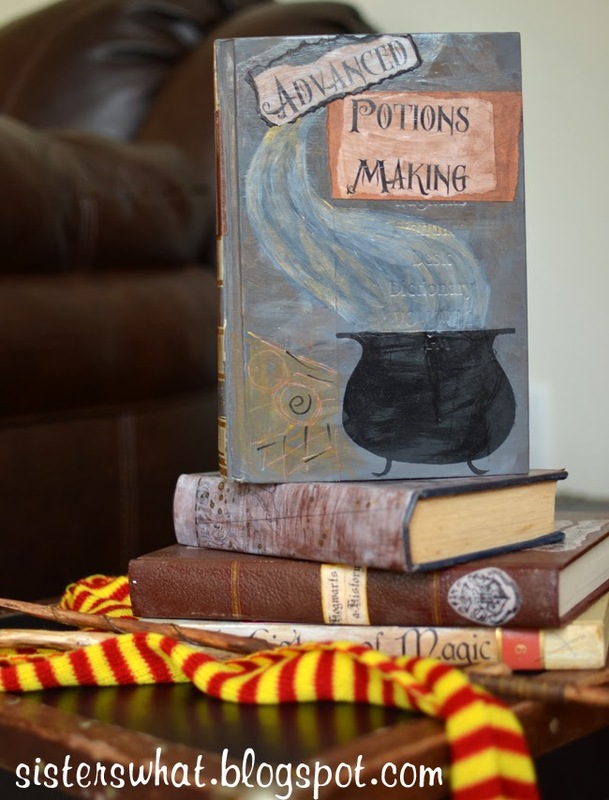 And just for fun, here is one of my other favorite books - advanced potions.